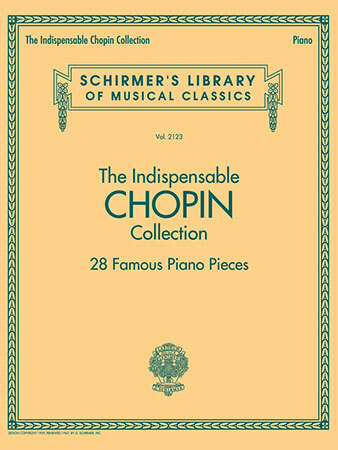 28 famous pieces including: Etude in C minor, Op. 10, No. 12 "Revolutionary," Nocturne in C minor, Op. 48, No. 1, Prelude in D-flat Major, Op. 28, No. 15 "Raindrop," Waltz in D-flat Major, Op. 64, No. 1 "Minute," and more.